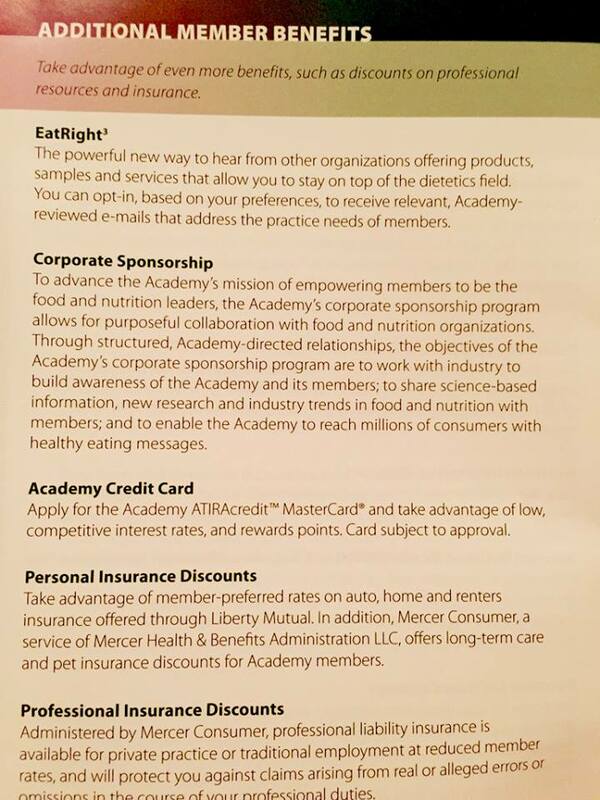 It’s that time of year for Academy of Nutrition and Dietetics membership renewals. It appears the Academy has drawn a line in the sand and made it clear it firmly stands with industry. 3) The sponsorship “fact sheet” the Academy drafted for the upcoming House of Delegates meeting is in full support of corporate sponsorship and does not acknowledge any concerns or possible pitfalls. The dialogue on corporate sponsorship, at least from the Academy’s side, is stacked in favor of industry. Sad.